A house high among the clouds that provides a perfect view of the beach on one side, and the stretched-out ocean on the other – sounds just about perfect, doesn’t it? That must surely be how Cape Town-based architectural team DV8 Architects feel about this ingenious creation of theirs, which is one of those rare beauties that help us imagine what living in Utopia must feel like. 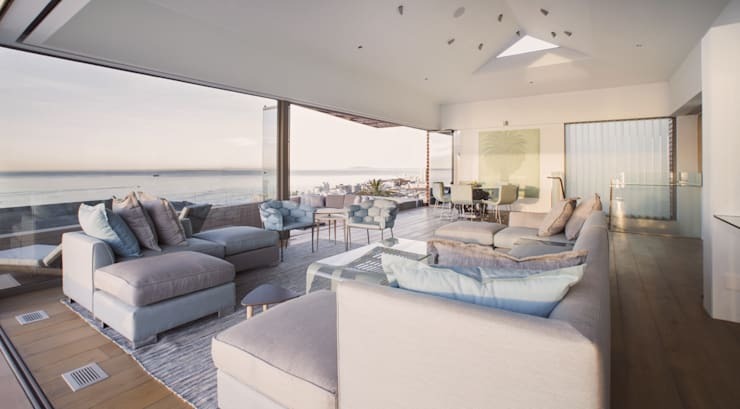 But it’s not just about the view here; this house knows its stuff when it comes to flaunting the right building materials, excellent interior style, classy furniture and an overall sophisticated ambience. See what we mean? How calm and serene (and breathtaking) is that view? The furniture and décor pieces are also exquisitely nautical in this living room, flaunting light blue and neutral tones to perfectly enhance the graceful atmosphere. 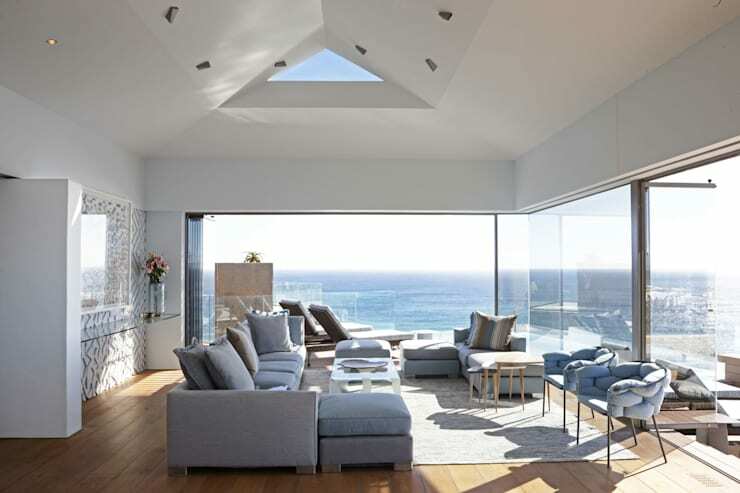 Thanks to windows and glass doors that stretch from floor to ceiling, these lucky homeowners get to bathe in sea views and fresh sunshine all day long. And how about that fabulous vaulted ceiling that enhances the feeling of spaciousness even more? Before we explore this magnificent creation any further, we need to see what the house looks like from the outside; it will help us put the interior layout into perspective—plus we are very curious! 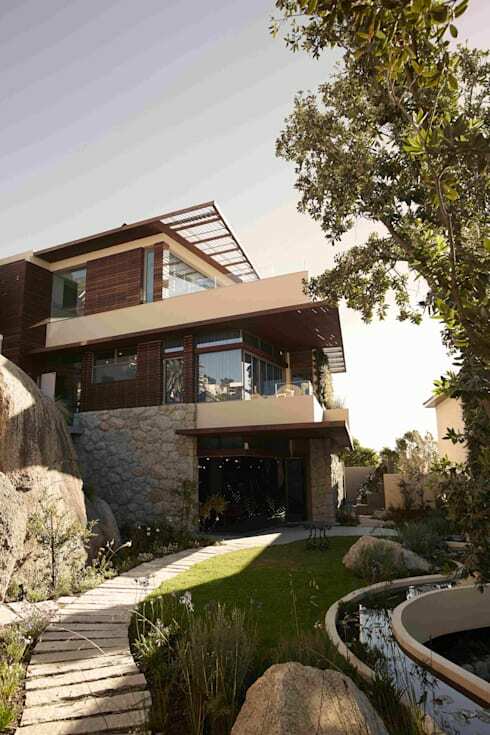 An agreeable combination of stone, glass and panelled wood makes up the exterior façade. And it is clear that extra special attention is paid to this garden to keep it looking top notch. After all, you can’t have super fancy interiors while the outside garden looks dull and neglected. Right, back inside the house! 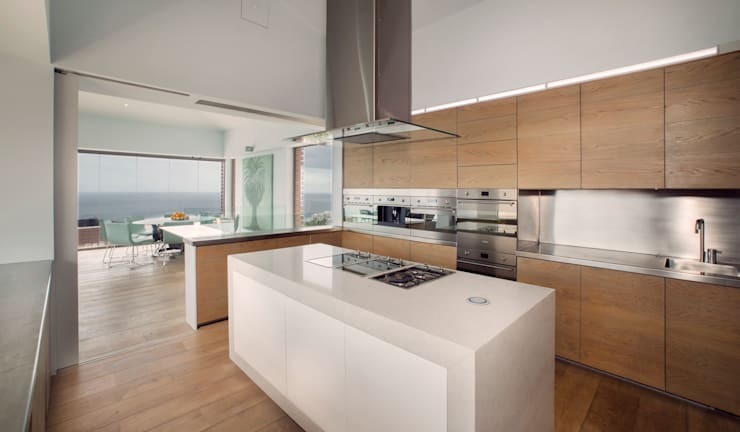 How many cooks (novice or otherwise) can brag about having an ocean view while whipping up delicious dishes? And the fact that this kitchen flaunts ample storage opportunities as well as one magnificent island is just icing on the cake! 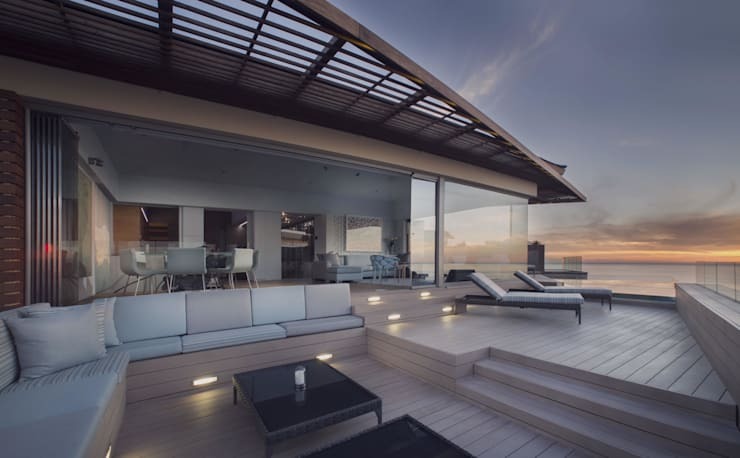 And when it’s time to entertain the squad, this exceptional terrace will do very nicely! 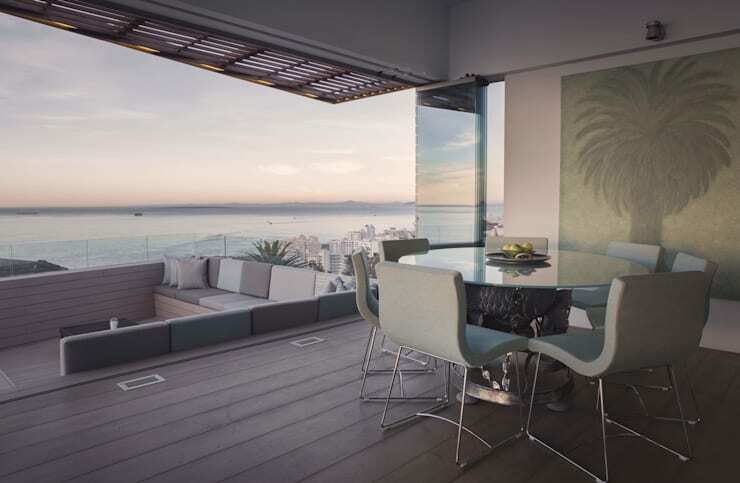 An L-shaped bench conjures up plush seating as the wooden deck extends into a lounging area in the background – you know, to appreciate that sunset in style. Is there anything that is not included with this dream house? 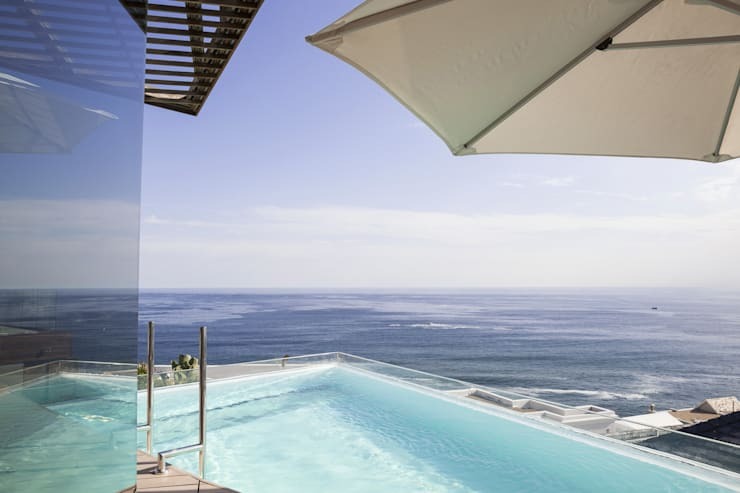 After seeing this swimming pool which peers out onto the crashing waves below, we think not. Of course, numerous bedrooms can be found inside this stunner of a home, and this is just one of them. A clean colour palette treats us to serene beiges and blues, while a private balcony (and glass doors) allows that fresh view and sunshine to become part and parcel of the indoors. Although this bedroom flaunts a slightly different look, it is right on par with the other one’s commitment to style and comfort. 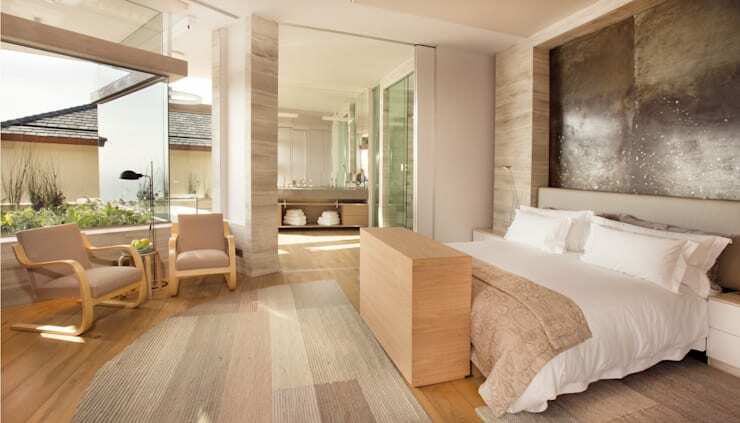 Natural light floods inside, beautifully illuminating those pale timber surfaces, including the exquisite floor which leads into the en-suite bathroom. We could look at this house forever, but many more await. 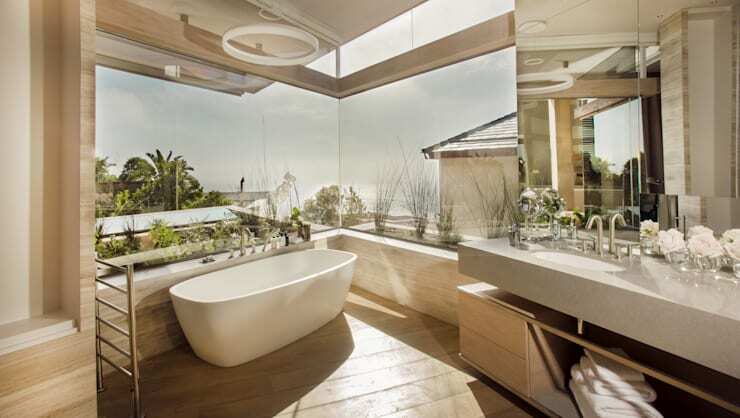 So, before we depart, let’s enjoy a quick glimpse of that en-suite bathroom which promises a most lavish time while enjoying a bubble bath with a sea view. Purely magnificent – and we don’t just mean the bathroom! From the beach to the mountains, we bring you: A beautiful mountain home perfect for you.